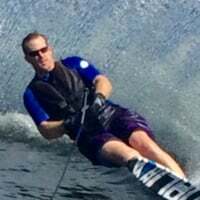 While looking up the picture of the ski I found something else Duvall. Ooooooof. I all way's liked that Duvall model! The lines were sleek. Soft in the tail rocker! and the tip profile was phenomenal. @jody seal I heard you liked the Fairchildski M1. Beautiful, Strong, Shapely Woman. Thanks Wish! She is hall of fame. The Duvall skis were built in the Kidder factory and have many of the traditional Denny Kidder traits. Its probably an excellent choice for a skier under 110 lbs or so. As always, the only way to know is to try it. I skied on a Duvall 950s for a long time. When I had it set up right it skied great but did seem to take a lot of effort compared to the S1 that I'm on now. I had the gray/black Duvall (Model??) for a season- very smooth and turned well. I weighed almost 220 then- Comination of that and too much sun maybe softened it up a lot in a single season. Got to be way too much work to get anywheres. I bet that ksi would work great for a lighter weight skier.